Dr. Irene Butter is Speaking At Rotary Club of Ann Arbor. 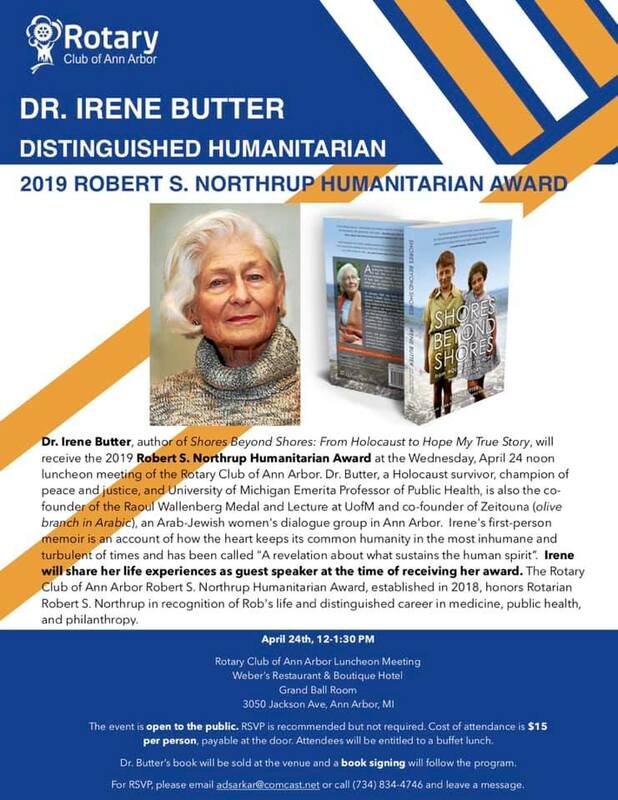 Dr. Irene Butter is speaking at Weber's with the Rotary Club of Ann Arbor on April 24, 2019. Irene is the winner of the 2019 Robert S. Northrup Humanitarian Award, which she will receive on the 24th. Dr Irene Butter is the author of Shores Beyond Shores: From Holocaust to Hope My True Story.